The Med4 Elite multi-modality therapy unit can safely improve outcomes while streamlining professional workflow by enabling the simultaneous treatment of one or two patients or multiple injuries. 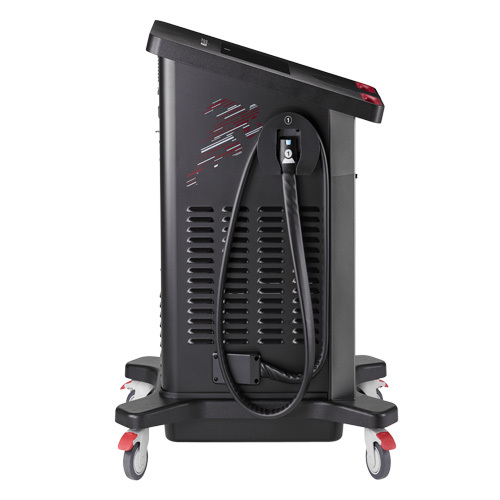 The system integrates cryotherapy, thermotherapy, rapid contrast therapy (RCT), and intermittent pneumatic compression therapy (IPC) in one device. 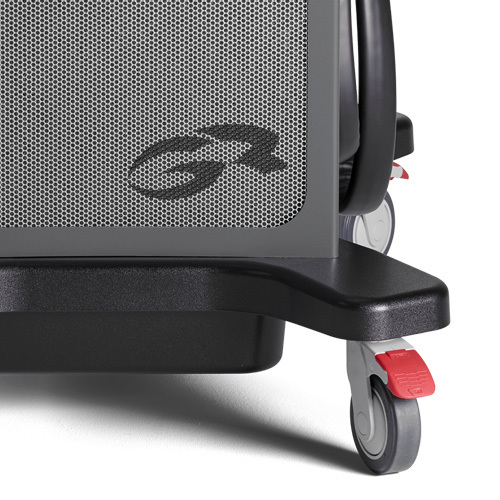 A touchscreen makes control easy. And four lockable wheels facilitate optimal positioning. With the Med4 Elite therapy unit, various treatment modalities can be used individually or in combination to reduce pain without narcotic medications, control edema or swelling, encourage arterial blood flow, improve range of motion, and aid the body’s natural healing mechanisms. Put the power of cryotherapy, thermotherapy, contrast therapy, and intermittent compression therapy to work. For patients or athletes and medical professionals alike, the revolutionary Med4 Elite multi-modality contrast therapy unit offers a wide new range of flexible, convenient, and compact treatment options. Creates its own deep-penetrating, longer-lasting cold to promote vasoconstriction and reduce blood flow, reduce inflammation and edema (swelling), decrease muscle spasms, decrease metabolic demand, and safely relieve pain without narcotics following acute injury or surgery. Used immediately following acute injury or surgery and as needed thereafter. 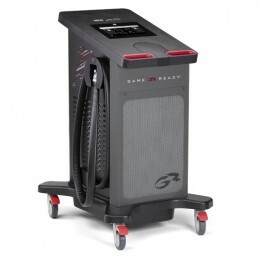 Generates its own controllable heat to promote vasodilation and increase circulation to the injured area, supporting the lymphatic system and aiding natural healing while reducing pain and stiffness. Heat therapy is used after the initial inflammatory response caused by an injury or surgery begins to diminish. Rapid contrast therapy (RCT) alternately opens and constricts the vascular system, increasing blood flow to an injured area without causing the accumulation of additional edema (swelling). RCT also helps decrease nerve sensitivity to reduce pain. The Med4 Elite is capable of an unprecedented <1 minute changeover rate – for compact and clean RCT delivery independent of gravity and without messy tubs. 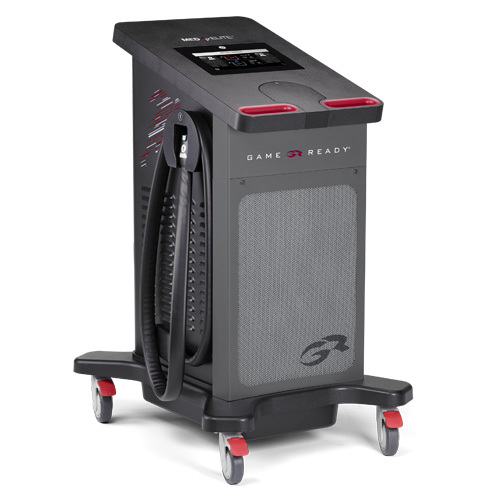 Game Ready’s patented technology delivers adjustable, intermittent pneumatic compression (IPC). IPC mimics natural muscle contractions to “pump” edema (swelling) away from the injury area, encourages oxygenated blood flow, and helps conform the wraps to the body for better surface contact and deeper penetrating cold/heat/contrast therapy – all to help the healing process. IPC has been shown to be most effective when combined with cryotherapy. 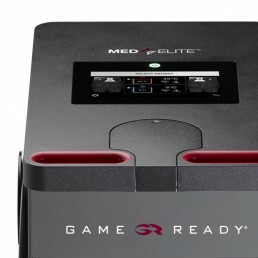 The revolutionary Med4 Elite control unit enables comprehensive and flexible treatment options for two simultaneous patients. 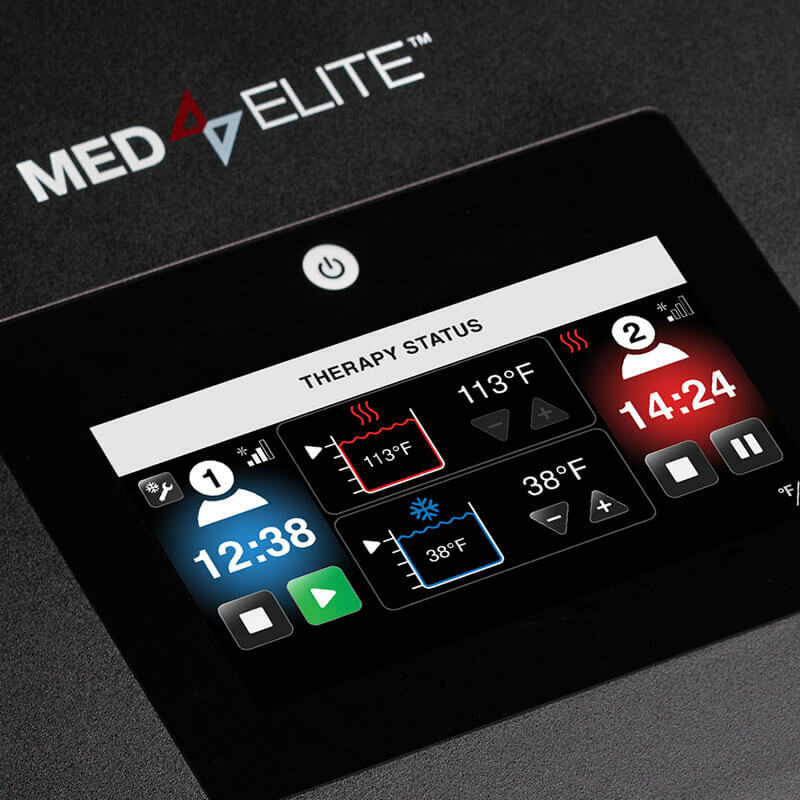 And thanks to an intuitive touchscreen interface, Med4 Elite users can easily alternate between and combine among four therapeutic modalities – as well as control, adjust, and monitor treatment times, temperature ranges, and compression settings with fingertip convenience. The Med4 Elite System is compatible with a majority of Game Ready’s existing line of dual-action, no-mess ATX® Wraps (Active Temperature Exchange). Featuring patented NASA technology, Game Ready’s low-profile wraps provide circumferential coverage, ensure greater surface contact to optimize cold, heat, and rapid contrast therapy of major body parts, and are anatomically engineered for better fit and comfort. All of which improves outcomes and increases satisfaction with the recovery process. Set Minimum and Maximum temperature, in °F or °C. Set Compression level to Low or None. Set Compression level to Low, Medium-Low, Medium, High, or None. Snooze feature, up to 6 cycles. Set Heat and Cold Minimum and Maximum temperature, in °F or °C. Set Heat and Cold Cycle time and total Therapy time. Set Compression level for Heat to Low or None. Set Compression level for Cold to Low, Medium-Low, Medium, High, or None. Start Rapid Contrast Therapy with either Heat or Cold Therapy. Set Compression level to Low, Medium-Low, Medium, or High. The Med4 Elite control unit is an FDA-regulated prescription medical device and should only be obtained from authorized sellers.